NEW YORK – Product of the Year USA, the world’s largest consumer-voted award for product innovation, announced the highly-anticipated winners of the 2019 Product of the Year Awards. 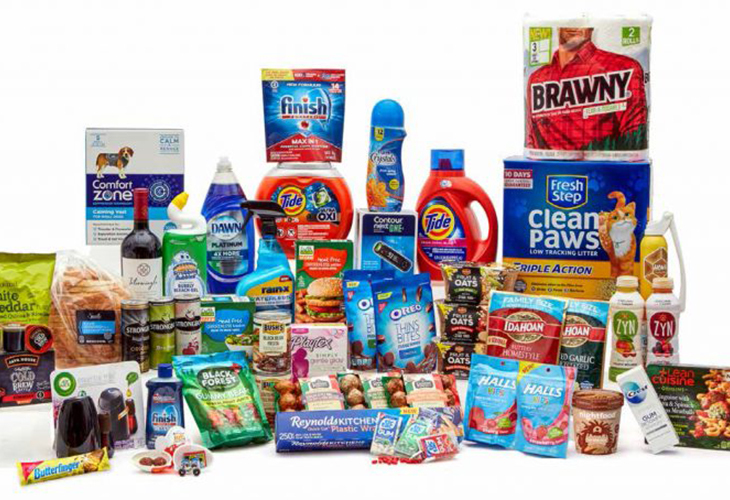 Determined by a national study of 40,000 consumers conducted by Kantar, a global leader in consumer research, the 36 winning products have been awarded as the most innovative products of the year in their respective categories. For over 30 years globally, and 11 years in the U.S., Product of the Year has guided consumers to the best products on the market by recognizing companies and brands for quality and product innovation. The 36 winners of the 2019 Product of the Year Awards were announced at Thursday’s annual Product of the Year Awards Show at the Edison Ballroom in New York City and can be found online at womansday.com. The night kicked off with a red carpet, hosted by Sara Gore, which led into the awards show, hosted by Ross Mathews and Ali Wentworth, and was followed by an after party sponsored by Strongbow. Product of the Year accepts entries each year from consumer packaged goods that demonstrate innovation, and were launched within the previous year. The entries span a wide breadth of product categories, such as food, beverages, personal care, household care and more, with one product being chosen as a winner in its category through a nationally representative online study of 40,000 consumers conducted by Kantar. Convenience Meal: BUSH’S Savory Beans – Bush Brothers & Co. Kids Novelty Snack: Kinder Joy – Ferrero U.S.A.